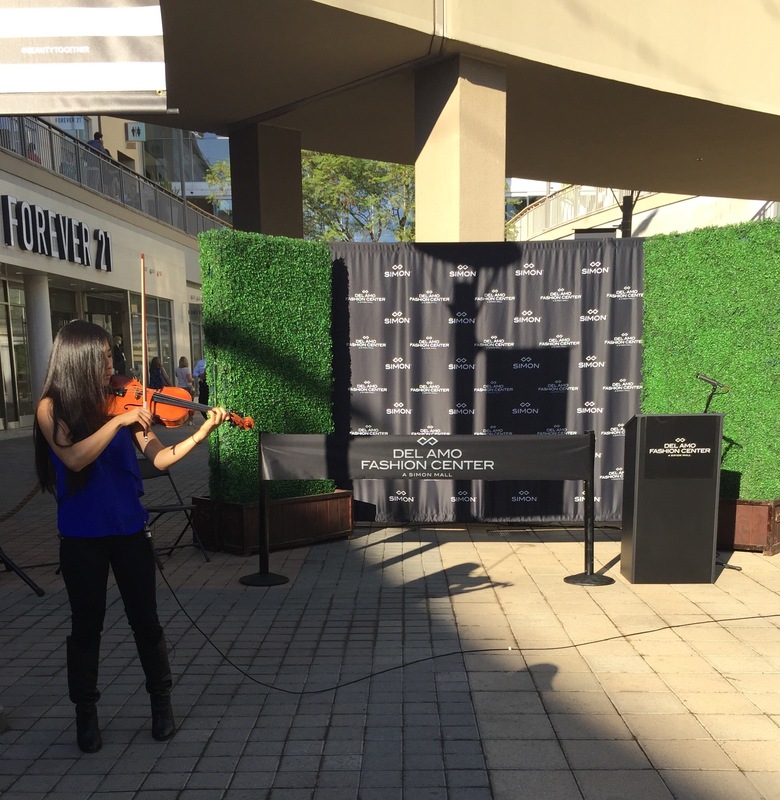 Hello Del Amo Fashion Center Expansion Opening Celebration! All of us have eagerly been awaiting for this day! We’ve watched the construction for months. Little by little, we watched as the this mall duckling started to transform. 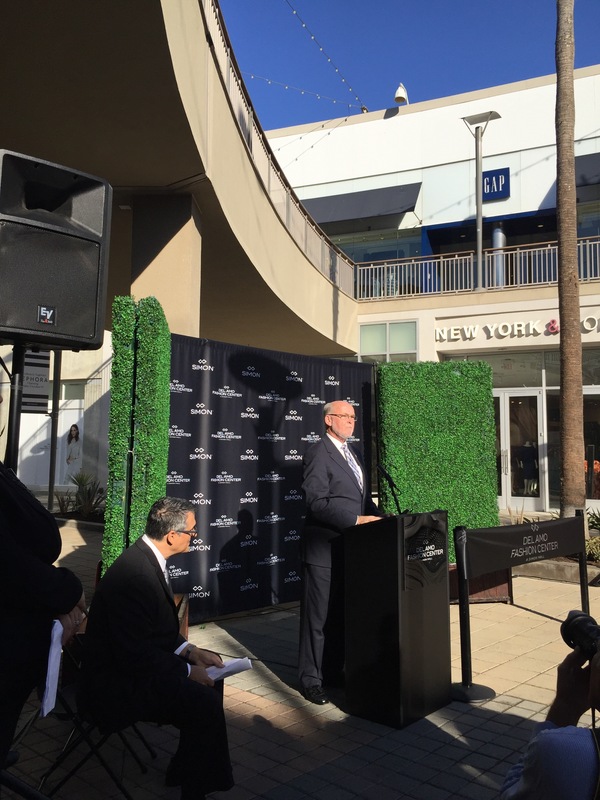 Today the day finally came when the new and beautifully transformed swan, Del Amo Fashion Center had it’s grand opening for it’s new fashion wing! 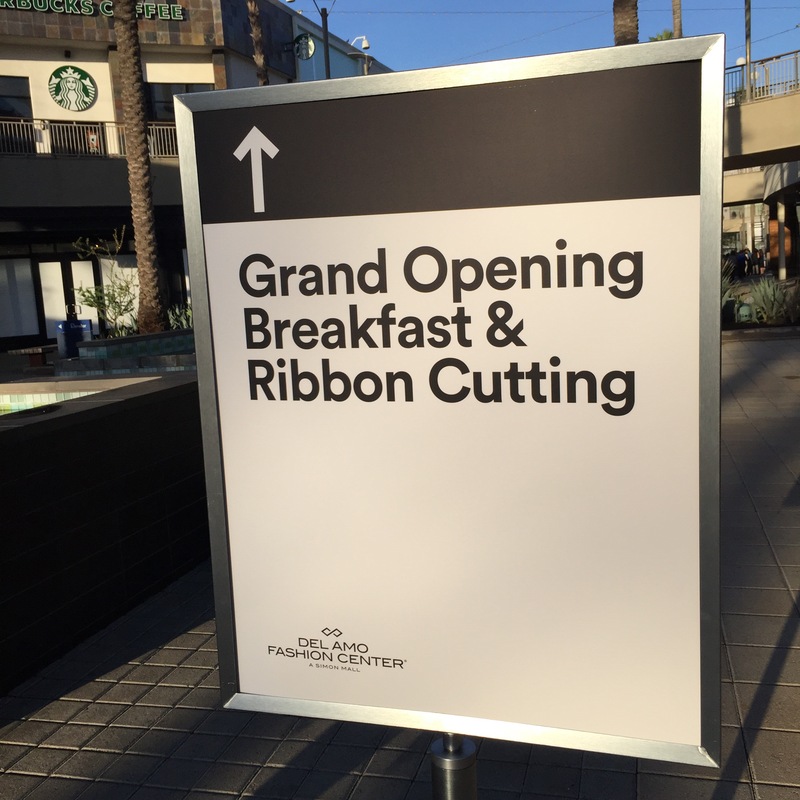 This special day was kicked off with a special breakfast and ribbon cutting ceremony. The grand opening breakfast was lovely celebration filled with music, fun, food and excitement! There was a savory and sweet crepe station. 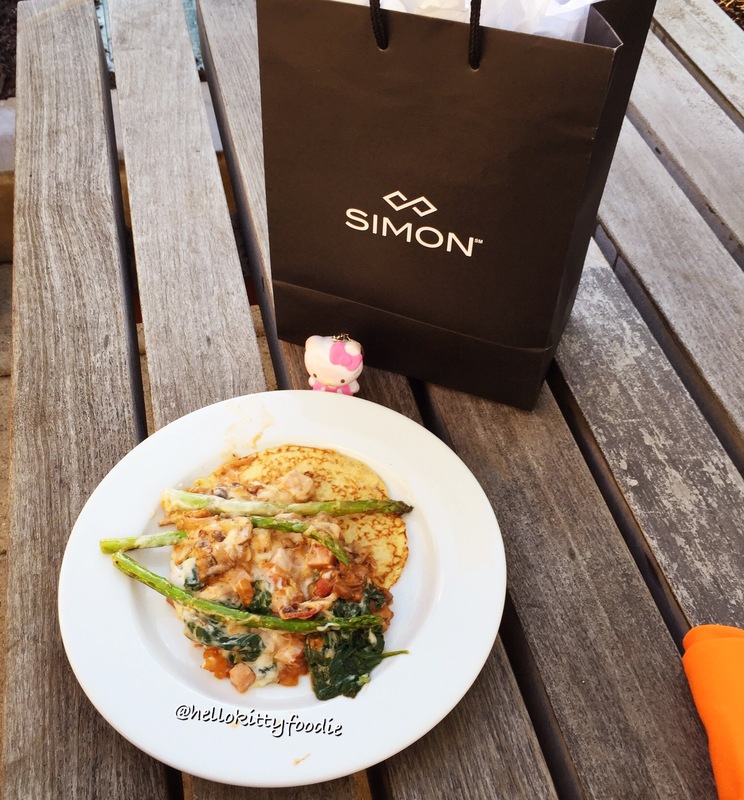 Guests could choose between savory or sweet crepes. Savory crepes were traditional crepes with your choice of fillings that included mushroom ragu, spinach, asparagus, tomato compote, black forest ham, shrimp, bacon, various cheeses and choice of toppings; béchamel, dill and lemon or basil pesto sauce. Sweet crepes were chocolate crepes with choice of banana, strawberries, nutella, marshmallow fluff, fresh whipped cream and choice of chocolate, strawberry sauce of blueberry compote toppings. Aside from the delicious food, guests were treated to some refreshing drinks via an espresso and fresh smoothies bar. The espresso bar was serving cappuccinos, lattes, espressos, mochas and americanos. The smoothie choices were strawberry banana, mixed berry and tropical. While dining, we heard various speeches about the new fashion center. 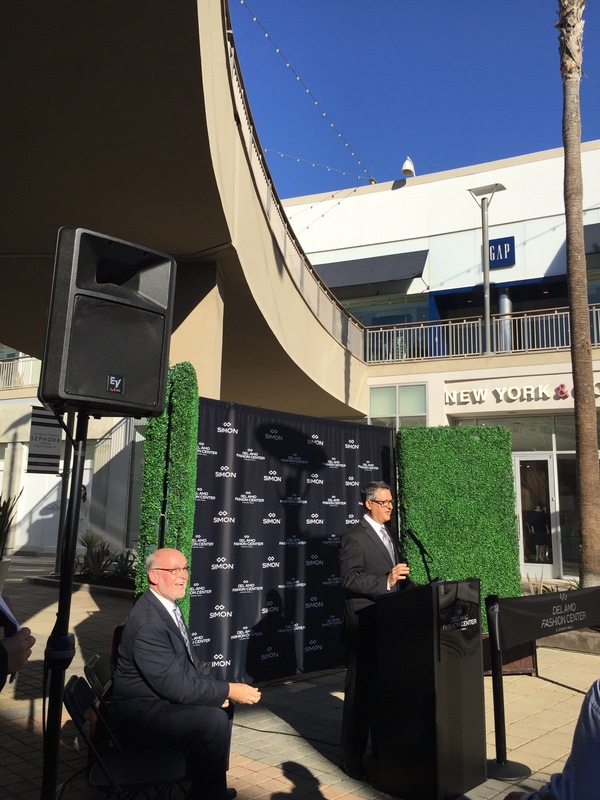 Speakers during the morning celebration were Torrance Mayor Patrick Furey and the president of Simon Malls, David Contis. As someone who grew up with Del Amo Fashion Center I can relate to this statement. I’ve always loved going to this mall. I have many fond memories of shopping and dining with my family friends here. Now with the new exciting additions, I am sure there will be more memorable moments. Soon after their respective speeches was the ribbon cutting ceremony. It was so exciting to be present to see this epic moment and the start of the style evolution. The moment the ribbon was cut, the excitement of everyone including my own could be felt. 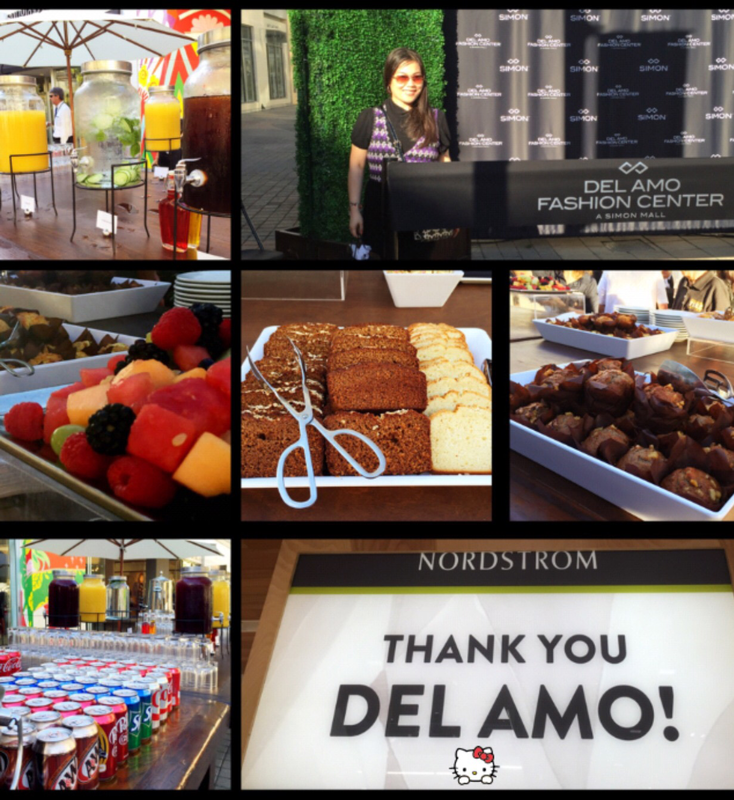 Following the ribbon cutting ceremony, Del Amo Fashion Center opened the doors to the public! It was then off to fashion and food heaven and simple amazement at the gorgeous new fashion center. My first moment going up the new escalators, I was in awe. With the. bright and clean interior, fresh plants and colorful and comfy chairs all over, one instantly knows this is THE place for fun and relaxation. Next sight is all the amazing new stores and the excitement builds up even more with the realization that this is fashion and style central. 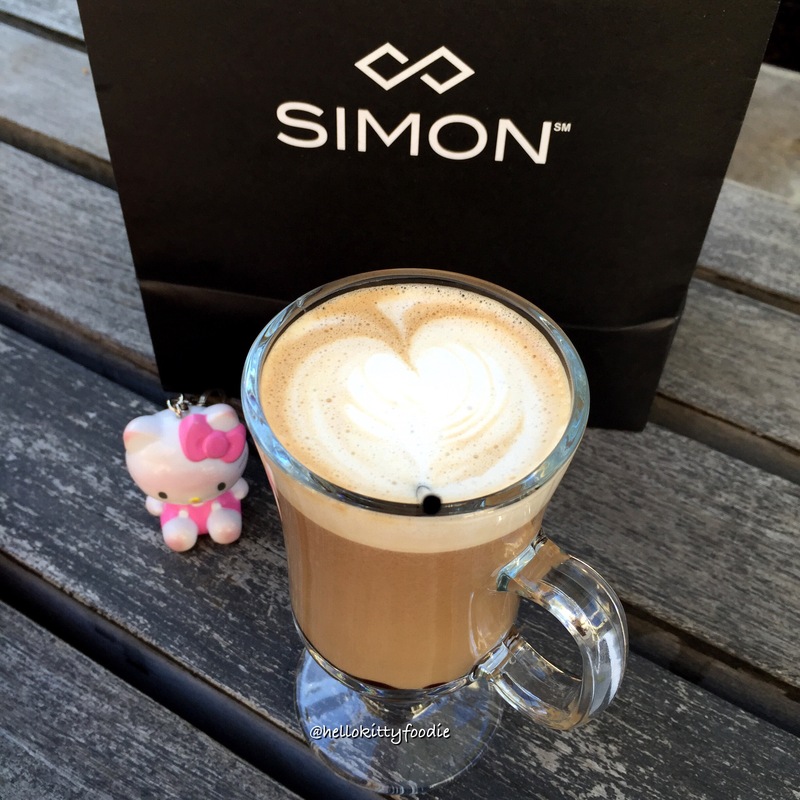 This is the new hot spot for fun and fashion, South Bay! There are 100 new stores and sixty out of one hundred opened today! 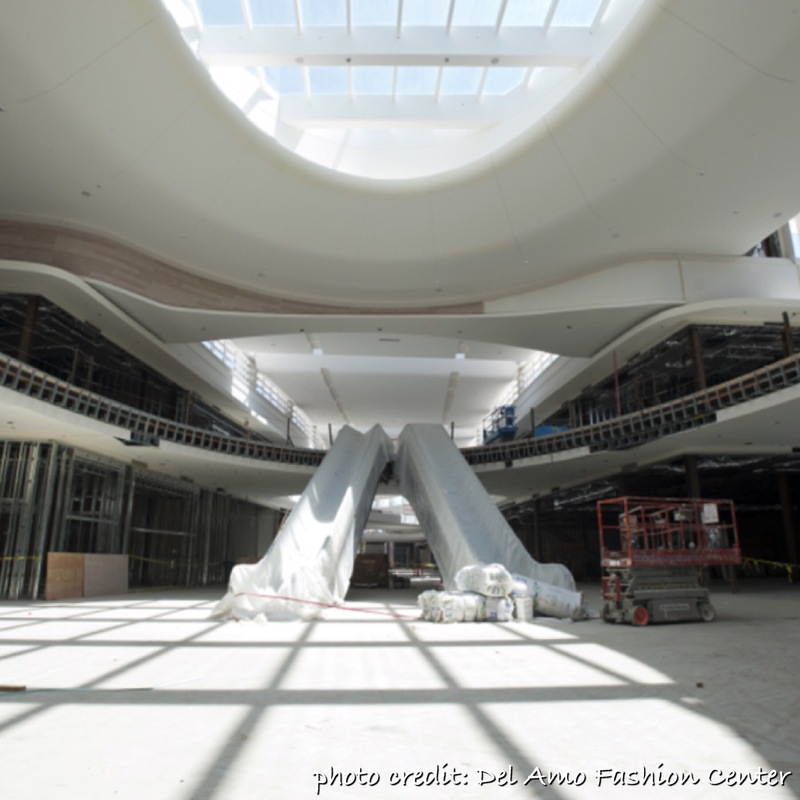 In total, Del Amo Fashion Center has more than 240 specialty shops. 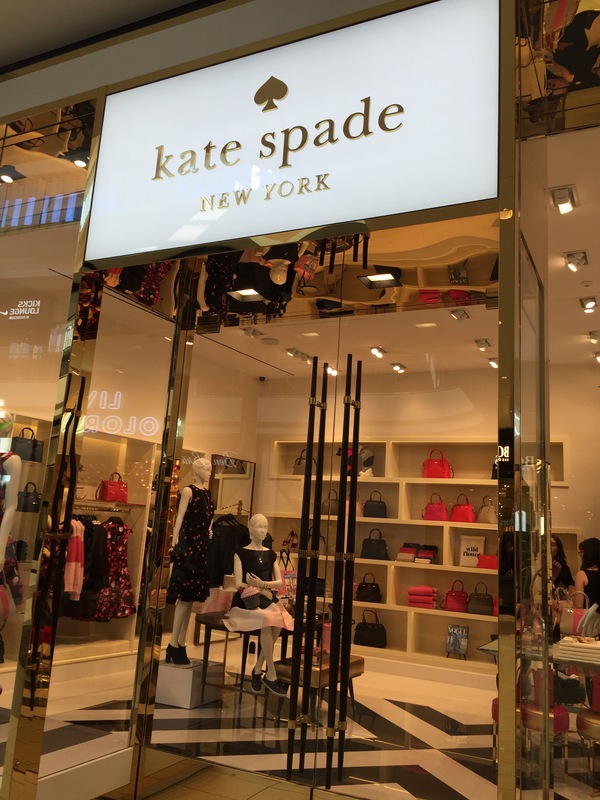 Some of the new stores opening up today include fashionista favorites, Nordstrom, Sephora, Michael Kors and Kate Spade. 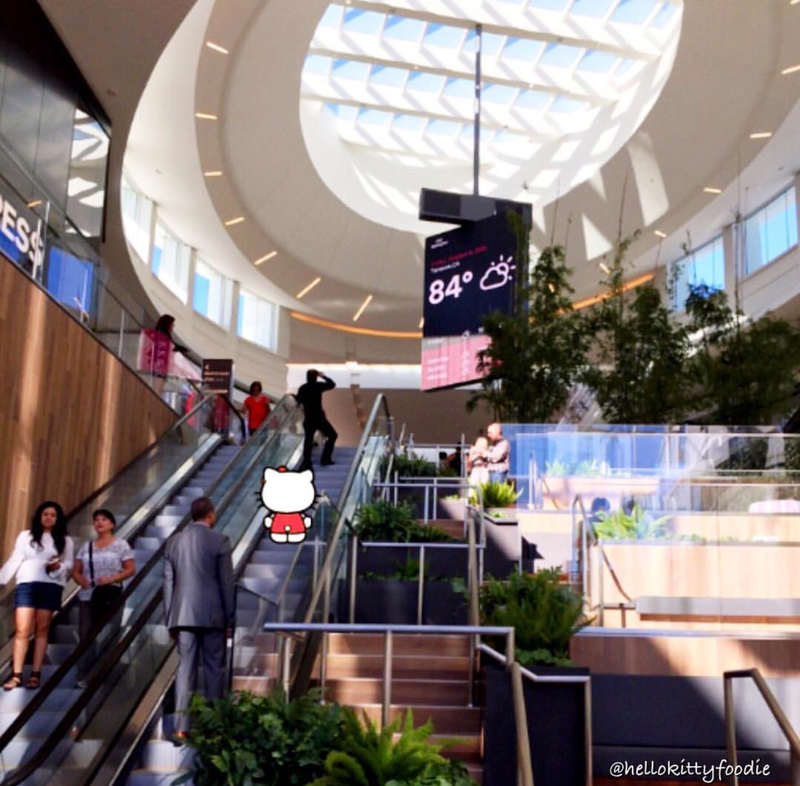 Along with the new stores, Del Amo Fashion Center is opening up new restaurants! Pink’s Hot Dogs will join Del Amo Fashion Center’s beautiful Patio Cafes. Open Sesame Grill, Popbar, Din Tai Fung, Great Maple, FRIDA, Lemonade and Luna Grill will be coming soon too. 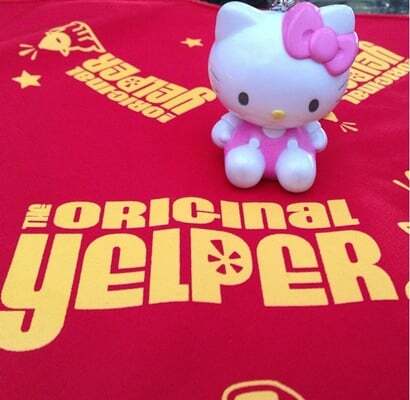 It will be true Hello Kitty Foodie galore! Aside from the stores and restaurants, there are even brand new state of the art parking facilities. 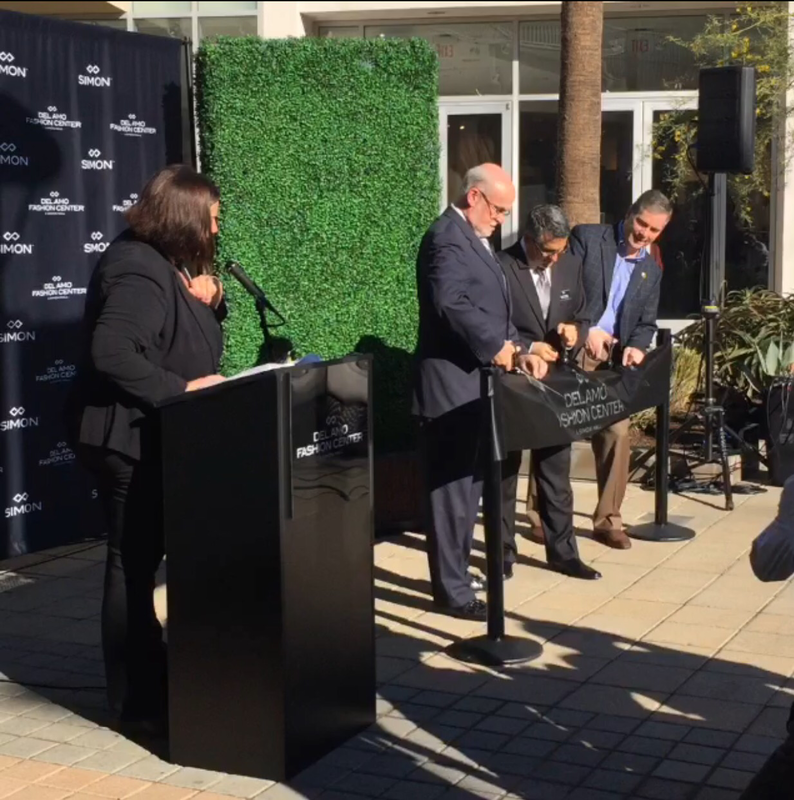 Del Amo Fashion Center now has more than 11,000 parking spaces in total now. 1,951 which includes 21 eVgo electric vehicle charging stations. How amazing is that? 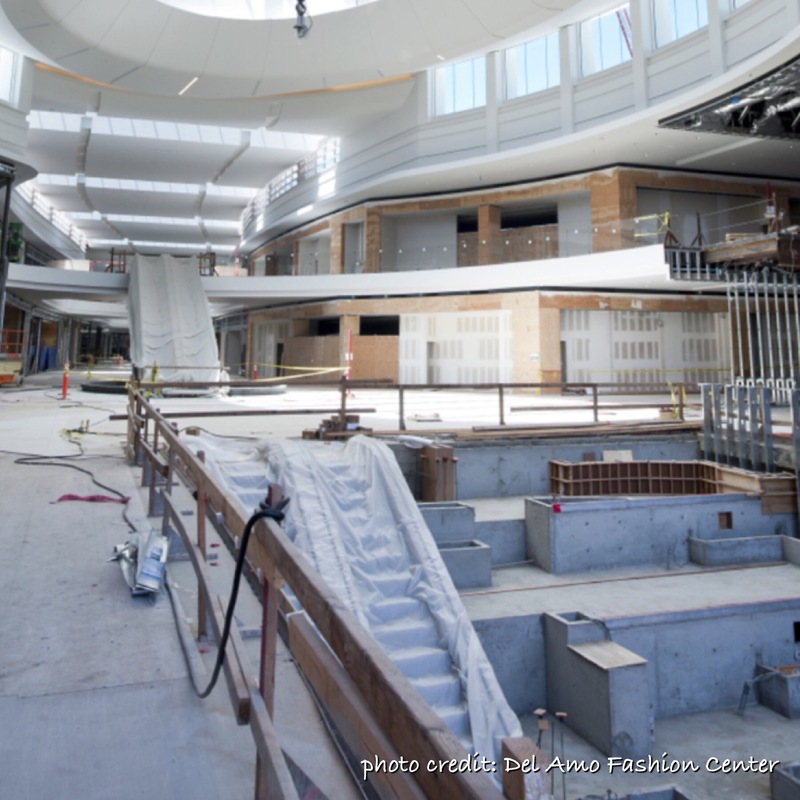 I am thrilled with the new Del Amo Fashion Center! As a South Bay native, I am so happy with the beautiful turn out. I simply cannot wait for the next phase! I grew up with Del Amo Fashion Center. I have fond memories of eating chicken bowls 🍲 at East Wind, enjoying ice cream 🍦 at Grandma’s Old Fashioned Ice Cream shop and seeing the various Santa Claus 🎅🏻 statues on display during the holidays. It’s so heartwarming to be a part of the beginnings of a new start for this mall. Thank you Del Amo Fashion Center for making me smile today. I know I will be smiling even more as I watch the style evolution further evolve. 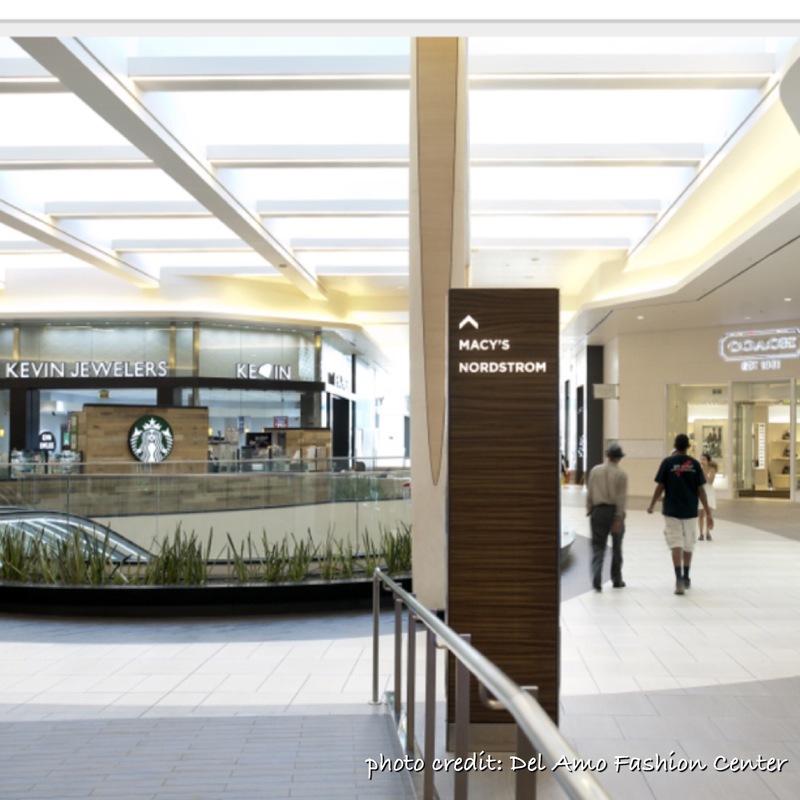 For more smiles, please see my recent Yelp review on the new and improved Del Amo Fashion Center. Hello Bazille @ Nordstrom Del Amo!